Completing a family health history is an easy, fast, and completely free way to discover health insights. What better time than the holidays to connect with family and share this vital information? What’s a family health history? A family health history is a record of medical information about an individual and their close relatives. Of course families share genes, but they also often share common behavior patterns, lifestyles and environmental factors that can contribute to all-around health and wellbeing -- making your family health history a valuable predictor of potential health concerns. Common illnesses such as some cancers, heart disease and diabetes are known to run in families. Many single-gene disorders also run in families, such as cystic fibrosis, sickle cell disease, or muscular dystrophy. When one or both parents are carriers of a genetic disorder, they have a chance of passing it to their children, even if the parent is healthy and unaffected by the variation. This is why it’s important to include multiple generations in your family health history. A complete health record includes details from three generations, including grandparents, parents, children, siblings, nieces and nephews, aunts and uncles, and cousins. 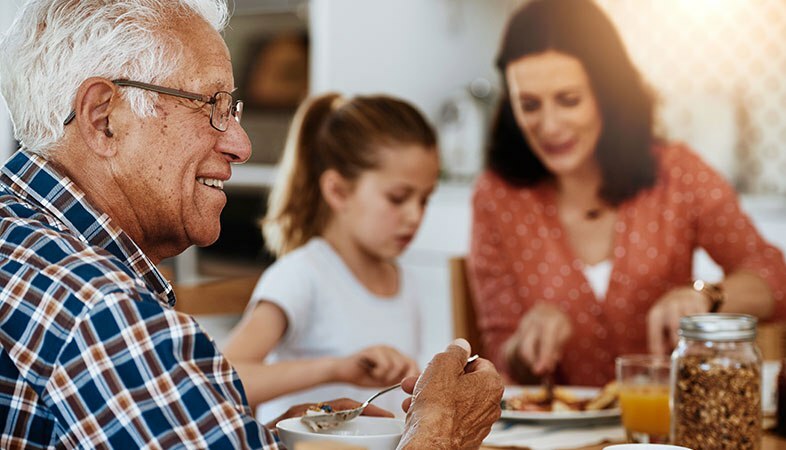 Knowing your family health history can help you and your doctor to identify trends and create wellness plans that could avoid, limit, or help you prepare for the possibility of these illnesses for yourself and future generations. Each person should have a detailed history available to share with healthcare providers. It’s important to remember that although a shared family history can provide some warnings, it never guarantees that you will develop or avoid any particular health issue. How to get started with a family health history. Find a time to talk and plan your questions in advance. Explain what you are doing and why, including the benefits for the family now and in the future. Ask one question at a time, record the answers carefully, and ask follow up questions to ensure you get as much detail as possible. Respect your family’s feelings. Not everyone may be comfortable sharing the details of their personal health history. Let them know that sharing as much detail as they are comfortable with is helpful. Locate records for deceased relatives to help fill in the gaps, such as birth and death certificates, obituaries, or medical records. Questions to ask family members. Do you or did any of my family members have a health problem? Is there a history of any chronic illnesses, such as heart disease, high blood pressure or diabetes? Are there any instances of any other serious illnesses, such as cancer or stroke? How old were family members when they died? What medications are currently being taken? Were there any problems with pregnancies, miscarriages, stillbirths or babies born with birth defects? Where my family members born and what is our ethnic heritage? It is important to keep this information up-to-date as you and your family age and experience changes in health. Keep your health information in a safe place and share with your healthcare providers. VCU Massey Cancer Center created a printable form to make it easier to document your family health history. We’ve included links here to these templates. If you are completing a family health history for yourself (or want to share with other adults) click here to access a PDF for adults. If you are completing a family health history for a child, click here to access a PDF for children. Red flags for genetic conditions. When reviewing your family health history with your doctor, there are a few other clues that can point towards a genetic condition. Be prepared to discuss the following with your doctor if it applies to you. Modified from The Jackson Laboratory. Genetic Red FlagsChecklist. Available online at: https://www.jax.org/education-and-learning/clinical-and-continuing-education/cancer-resources/genetic-red-flags-checklist. Retrieved on October 22, 2018. Should you consider genetic testing for risk factors? After a thorough review, and only when appropriate to your treatment plan, further evaluation should be considered for positive responses with referral to genetic testing and counseling as needed. PartnerMD wrote a detailed guide to genetic testing so you can make an informed decision about your choices. Inside, you’ll find out about what you and your doctor can learn from genetic testing, some of the concerns that may surprise you, and why genetic counseling is an important component to any genetic tests. Click here to access the guide to genetic testing.